Interview conducted by Mike Stephenson in Jackson, Mississippi, June 2013. Many thanks go to Peggy Brown for arranging the interview. My given name is Victor Allen and I was born and raised in Jackson, Mississippi and I come from a single parent home and I have one younger brother. My mother and grandparents were very religious so we grew up in church and did a lot of church things as kids, and that’s where my love for music started. I was the piano player for my church for most of my teenage years. There were a couple of churches; the first was New McRaven Hill Church in Jackson and the second was Hardy Grove Church. After I got about sixteen years old, I joined a local gospel group called the B&B Singers from Raymond, Mississippi in the eighties and one of the other singers in the group was Rick Lawson who has done some stuff for ECKO. After that I went to college for six months and then I got an opportunity to try out for a gospel group called The Canton Spirituals and I ended up travelling, and touring with, and recording with them for about seventeen years. I started with them when I was nineteen and we had a great deal of success. Two Grammy nominations I don’t know how many Stellar awards, maybe twelve or fourteen, and we toured the world extensively. We toured every weekend. This was from 1990, up until about 2003. We went to Belgium, Switzerland, Finland, Italy, Jamaica and all over. That kinda prepared me and taught me all I needed to know about the music business including how not to get taken advantage of, because that goes on in gospel music just like it does in any other music. During my period with the Canton Spirituals it was the same singer that they have in the group now, the lead singer is Harvey Watkins Jr, his nephew Cornelius Dwayne Watkins and Merlin Lucious are the three main guys in the group. Back when I started with them, Harvey Watkins’ dad Harvey Watkins Sr, was with them. He passed away, I think in 1993, from cancer. They have had different musicians come along but the main core remains the same. Theo Thompson was with them but he has left; he was an older gentleman and he retired from the travelling. He was one of the originals with the group. How I came to the group’s attention was I was working with one of the Williams Brothers, LaMorris Williams, his dad is Leonard Williams who is one of the Williams Brothers, another famous gospel group, and I was working for Leonard and his record company Melinda Records and Leonard was still trying to tour as a solo artist, but mostly he was involved with his record label. I worked at the label as well as part of his touring group. I was with him for about a year, but there was one particular concert we did in Selma, Alabama and the Canton Spirituals were there and they saw me perform with Leonard and they approached me about possibly being part of their group and I auditioned and all that and it happened from there. At the time the Cantons were not a very popular group, all of that came later, after their records on Blackberry Records. I featured on a lot of the Canton Spirituals’ recordings. The first one was ‘Live In Memphis One’ which was a very big seller and then ‘Live In Memphis Two’ and then from Blackberry Records they moved to Verity Records which was a subsidiary of Zomba, and the first record for Verity was ‘Live In D.C. Living The Dream’, then after that it was ‘Live In Jackson’,then there was a studio album and then ‘Live In Harvey, Illinois’. I’m on six records by them. On the last two records I do not appear on the cover as I was signed to Malaco Records by then as an artist, so I could not appear on the Canton’s albums. I was doing support work and background vocals on the last two records, and on the records prior to that I was doing some lead vocals. The last ten years with the group, I started dabbling with producing blues and southern soul. I started with Willie Clayton first and I did his ‘Last Man Standing’ CD and I produced all of the tracks except two and I wrote or co wrote all except three numbers. Willie and I developed a really close friendship and we are still very close now. Since then I have produced many records for him. I recently stopped producing because I don’t have time anymore. I’ve done production for Mel Waiters, Peggy Scott Adams, Bobby Rush, Queen Emily, all done in Jackson. At first it was out of Johnnie Vincent’s Ace Records place, with Willie Clayton. I did some work for Johnnie Vincent, also I did some work with Robert ‘The Duke’ Tillman and Ronnie Lovejoy, but that was after Ronnie left Ace Records, that was with Mike Haralambos. I worked on both of Ronnie’s albums on Mike’s label, and I also did Toni Green’s record on Mike’s label Good Time Records. I produced on those records. Production means being responsible for creating the music and other cases managing the music, making sure the musicians played what I heard in my head and how I thought the music should be. With the electronic production I would do all of those tracks, but on most of the stuff I did with Mike Haralambos, most of that was recorded live and I would sit down and do the arrangements and teach everybody, and make sure everybody stayed on course in the studio with what we were doing. For Good Time Records we cut most of that at Taylor Made Studios in Pearl. We did Willie’s recordings at Ace Records, and later on Willie moved to a studio called Soul Kitchen, which is at Clinton, Mississippi. The Mel Waiters and all that stuff was at Malaco. Now I have a pre production studio at my house where I do most of my stuff. I do all of my music in my back room. Willie and I got to a point where we were bouncing songs off each other and he would leave me a voice mail with an idea for a song and maybe sing one line and I would listen to it and create a song from that. There was one song that I recorded for him as a demo and I gave it to him to listen to and I asked him if he had listened to it, and he said he loved it and I asked him if he was going to record it, and he said no. So I asked why and he told me I needed to record it. I had never thought about being a southern soul blues solo artist until that very moment. That had to be around 1997. I was still doing gospel at that time. So that’s when I started playing around with the idea in my head that I should give this a shot and see what happens and leaving gospel music and becoming a solo artist in soul/ blues. To me the music that is gospel and soul/ blues is not a lot different, it is similar in a lot of ways. I took a year or two, and then recorded my first CD which was ‘Let’s Dance’ and Mel Waiters signed me to his label Brittney Records and he had a distribution deal with Brown Hill Records which is based in Dallas and they put out my first CD in 2000. I was still singing gospel with the Canton Spirituals at that time because coming out as a new artist sometimes takes a while and music was all I was doing at the time, so I still had to be able to live. Music was a full time thing for me. It was different and weird doing both, because when I did have an occasional show for myself, the Cantons would go without me and after a while that created a problem and it got to the point where I was tired of working with the Cantons anyway. I wanted to branch out on my own completely. In hindsight I wish I had done it a little earlier. I guess it was fear of the unknown, knowing how difficult it is to become established in the music business and I was a little hesitant. After the first record with Mel Waiters, it did ok, there wasn’t a lot of promotion on the record. I then signed with Malaco. Tommy Couch Jr called me and he was looking for songs, he was interested in me as a songwriter and I didn’t really want to do song writing, I was more interested in becoming an artist and so we met in the middle. He said he would make me an artist if I would write songs for him, so I did a little song writing but maybe not as much as he really wanted. My time with Malaco, I put out three records with them. The first one was ‘Old School New Flava’ and the second was ‘Simply Soul’ and the third was ‘Baby Come Back Home’ and all three of those records, and Malaco agree with this, were ahead of their time. There is stuff on those records now, that sound just as relevant as stuff being played now and I have always on the production tried to push the envelope between soul/ blues and mainstream, because I think the southern soul audience is a box and the mainstream audience is a bigger box, so if you wanna expand out of this box you are gonna have to reach people in the other box. 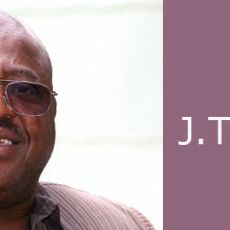 At first I don’t think people were up to it, they were used to listening to music like the great Johnnie Taylor and Z.Z. Hill, and my music was a little more mainstream and I think people were a little slow to gravitate towards it. I think the person that knocked that door down was Sir Charles Jones. One day Tommy Jr. and I talked about me taking some tunes off of those three albums that weren’t released as singles and put them out on another album. It won’t be on Malaco and we will work out a situation that will work. There is some good stuff on those records that is still relevant today. The first album ‘Old School New Flava’ sold pretty well and the second two got caught up in the time frame where the music industry started to go down. After my time with Malaco, I was introduced to Soul 1st Records from Birmingham, Alabama by Omar Cunningham. He and I are best friends and he introduced me to Reginald McDaniels and we decided to do a deal and we put out ‘Truth Be Told’ and that did very well and we were able to pull off five singles from that record and sales wise it did decent, and what it also did was to establish me more as an artist with radio, as well as touring and performing. Doors started opening and we started doing more shows and so when it came time to do another record, I had a vision in mind in terms of a theme for the whole record, and I wanted to bring back the soul that was missing in music to me. I was listening to the radio one day and after about five songs I just felt like the songs did not reach me at all and I just wanted to turn the radio off. Nothing made me feel anything. If you listen to some of those old school songs they can make you feel good, make you feel sad. Take for example, the O’Jays singing ‘Last Night We Cried Together’, you can feel that. So that was my theme for the record and it actually took me a year to record it. I didn’t push myself I didn’t go into the studio and hammer out a record. I did a little here and then forget about it for about a month, and I’m very pleased with the results, which is the CD ‘Soul Music’. Before that I did a six or seven track CD called ‘Baby Come Back Home’. There were other tracks for that record but we were searching for an answer to the sales slump, and we thought that maybe if we put fewer tracks on it and sold it for cheaper price that maybe more people may be interested in buying it, that was the idea behind it. Of course it didn’t work though. The latest CD ‘Soul Music’, I have done a video of me singing the title track and that song has been bigger than I ever expected. It was co written by myself and Omar Cunningham. We write a lot together. If you look at his last two albums we have got several songs that we have co wrote and the way we do it is interesting. He is mostly lyrics and I’m mostly music, and I come up with the music to go along with his lyrics and sometimes I do some lyrics as well. There are some songs on his and my albums that I wrote completely. For the ‘Soul Music’ CD I actually wanted to release another song as a single but Reginald McDaniel insisted on ‘Soul Music’ being the single and I didn’t expect it do as well as it has done, but it has reached number one in just about every soul/ blues countdown there is and it reached 43 on the Urban AC radio charts which is pretty good for a little soul/ blues record. The whole CD was recorded in my house. The thing is, nowadays with digital recording you don’t need the big studios and the big outboard gear. You need the right computer programming with the right plug ins built into the programme, a good microphone, and you can record anywhere you want to. I use a lot of real instrumentation on the record, all the drums were programmed and we used a live bass guitar, real guitar and some real horns were used and some keyboards were played, so other than drums, it has a real live feel to it. On the number ‘My Baby’s Phone’ me and Omar co wrote that and I was being funny by saying in the song I found out it was Omar that was sleeping with my woman. We of course don’t have any issues like that. I’m not involved with gospel for about eight years now. I’m not aware of any artists that have covered my songs and I see that as a good thing. What I try to do with my songs is put it so far up there that nobody wants to touch it, they can’t better it. There are a few songs I did for Willie Clayton that I wished I had kept for myself. One of the biggest songs I did for him was ‘I Love Me Some You’ and a lot of people have asked me why I gave that song to Willie. It was that song that caused Tommy Couch Jr to call me and ask me about song writing, so had I not given that song to Willie, that whole thing probably would not have happened. I’m not producing for other artists at present, as I don’t have the time. The only other person I do produce for is Omar Cunningham, I do some track work for him. Going back to that Queen Emily album I did, it was a great CD. In February 2012 I supported her as part of a support band for a tour in Switzerland, the Bern Jazz Festival and after that I don’t know what happened to her. I don’t know her personally I just know her from working with her a little bit. For the most part I lead my own band. I hear a lot of things in my head and I know how I want things to sound. Some artists let the band handle the creative stuff and just grab the mic and sing. I’m kinda involved in all aspects of it and I guess that is because I play piano as well, so when we rehearse sometimes I sit at the piano and show the guys how I want something to sound. I did some back up playing on the Queen Emily record and for Ronnie Lovejoy. Currently my career is going fine, with lots of gigs, and we are working more in the last year than we have ever worked before. It’s mostly weekend and festivals and I still like to do a small club sometimes in intimate settings, where you can walk out and touch the people and sit in somebody’s lap. I have a regular band based out of Greenwood, Mississippi and they are a group of young guys, all younger than me, and I call them Velvet Soul. My bandleader lives in Greenville, his name is Demarkus McKinley and he is a drummer. The oldest guy in the band is thirty two, the guitarist is Derek Wilson and he has played for Willie Clayton in the past, and he is from Tchula, the bass guitarist is Willie Burks and we call him Foe and he is from Durante but lives in Memphis now, and the keyboard player is Eric Walls, he is from Greenwood. I guess because of their Delta roots they are versed in all sorts of music and it also gives me that young mainstream edge to the band that helps us draw in the younger audience. Over the last five years I have seen demographics change quite a bit, the audience is getting younger and younger for soul/blues. I think it is because soul/blues is adding a touch of mainstream to it and I still think that young people can identify with the realness of the lyrics. I try to sing about real life whether it’s good or bad and I want people to relate to the songs. You would be surprised, but one of the songs that got me known for singing about real stuff was ‘Forbidden Love Affair’ and it was about a preacher in church having a relationship with one of his members that he probably shouldn’t have had. Of course at first a lot of people were a little offended by the song, but what really got me was how popular the song became in spite of the few people who were offended by it. It blew me away how many ladies approached me after the shows and told me the same thing happened to them. That’s when I realised that even the songs that are considered controversial, somebody can relate to them, so that is why I try and write and sing about stuff like that. Some of my songs are from personal experiences, but not all; I also like to take other people’s experiences and sing about them as well. A number I did, ‘Trying To Break Up My Home’ on the ‘Truth Be Told’ CD, a song about a girl’s infatuation and the possibility of her suffering with mental illness was not a personal experience. That particular song was produced by myself and a gentleman in Memphis named J Dav, he is a r&b hip hop producer and he and I produced the number ‘Baby Come Back Home’ from that same title CD. Omar Cunningham is from Gadston, Alabama. He is not in music full time and neither am I at present. I used to be, but in my later years I have become a busy body. The thing about music full time is that you have a lot of down time and I don’t like down time, and Omar and myself, as we have got older we have decided to do other things. One of the things is I am currently about to get my Bachelor’s Degree from college in business management. It’s something I have wanted to do for some time and I’m almost finished. Omar is in law school. It’s not that we are turning our back on music. This is stuff we have wanted to do as kids so why not let’s do it now. I’m not sure where it will lead to in the future. I have a number in mind and if I have good health and everything is fine I plan on retiring from music. I don’t want to cheat music fans when I’m not physically capable of doing so. Take J. Blackfoot as an example, he was very sick but was able to still give a hell of a show every night no matter how sick he was and I think that was cool, but for me at a certain age I want to go sit down somewhere. Only me and my wife know that number but I still have a lot of music left in me before that time. My main working area is the South and South East, Louisiana, Mississippi, Alabama, Georgia, The Carolinas, Arkansas, Tennessee. The funny thing about soul/ blues is that every artist, no matter how established they are, every artist is regional to a certain extent. Nobody has the whole board covered because there is no continuity with radio like in mainstream music. The only advantage the strict playing format has on radio by say Cumulus, I don’t know how many stations Cumulus owns, but they will stick to the same playlist, so whatever artist can get in that playlist, that artist will be just as popular on the East coast as they are on the West coast. Soul/ blues radio is not like that, it is very regional so that is why you have certain artists known here but not well known there. I understand what the problem is, but am not sure how to fix it. I get to Chicago maybe once a year and I’ve played the Chicago Blues festival once. I’ve not gotten as yet with the Blues Is Alright tour, they tend to stay with the more seasoned artists that have longer histories in the music, although they have started reaching out to some younger artists. I’m busy at present with the open door summer festivals. I just did one last Sunday in Macon, Georgia with Sir Charles Jones, Mel Waiters and The Bar Kays and about 5,000 people in attendance. My musical influences are Al Green and Bobby Womack and under those two, there are several others. I love the O’Jays, Curtis Mayfield and most of my influences are from that era. Even as a teenager I listened to a lot of old school soul music and of course some of the gospel artists, like some of the older artists such as Jackson Southernaires, and Bobby Bland is a favourite of course. One modern artist in particular I try and keep up with what he is doing, is Anthony Hamilton, he has done a real good job of blending the line between soul and mainstream. He is one of the few artists that gets mainstream airplay but is still considered a soul artist. He has done some collaborations with Al Green and others. Soul 1st Records is a small operation and one thing I do appreciate about this particular label is how much my input matters, not just musically but on strategies and how to do things as far as promoting records. I have an input on all that. Reginald McDaniel the owner is an attorney in Birmingham, Alabama and he has some ties and related somewhere down the line to Sam Cooke. He keeps close ties to the family and that is where his interest in music came from. At the moment there is just Omar Cunningham and myself on the label, which is good for me as you can become lost, which I believe kinda happened during the Malaco days. Malaco at that time, they had Mel Waiters, Shirley Brown, Floyd Taylor, Bobby Bland, Stan Mosley, Billy ‘Soul’ Bonds and me. Current situation with the record label is good.